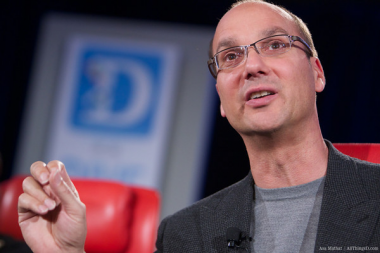 We’ve interviewed the man-who-would-be-Motoogle, Andy Rubin, twice at big D: All Things Digital events, and Google’s mobile head has always had a lot to say about where this key market is headed. Luckily, Rubin is also booked for an onstage interview at our AsiaD conference in October in Hong Kong, where a lot of Asian handset manufacturers will be listening carefully to what the leader of Google’s Android mobile operating system has to say about what the search giant is up to with its $12.5 billion acquisition of Motorola Mobility. This morning, Google announced the massive deal, which is expected to shake-and-bake the already competitive mobile market and spur regulatory scrutiny. Until we hear more from Rubin — the longtime industry vet for whom the purchase of Motorola must be sweet justice from his days trying to make his iconic Danger device a success — here are two onstage interviews he did at previous D events.